Thank you Olay Moisture Ribbons Plus Body Wash for turning me into a soft cotton ball! I have super dry skin. And if you’re a regular reader of my blog, you know how annoying I may get fretting about my dry skin condition here on the blog. But I can’t help it, especially because I used to be one of those girls, who was diligent about her moisturizing routine. But since having my little princess, I’ve had a lot less time for myself and my skincare routine has become pretty much non-existent. The only effort I really make is cleansing my face and taking a shower every morning, at least I’m getting the most important things done, right? Standing in the bathroom for long just to apply body lotion and then wait to let it sink into my skin, is no more my cup of tea. And so arises the issue of scaly legs and scratchy back! Describe the product in three words? All skins, particularly those with dry skin like me. Presence of any acne/allergy/trouble causing ingredients? 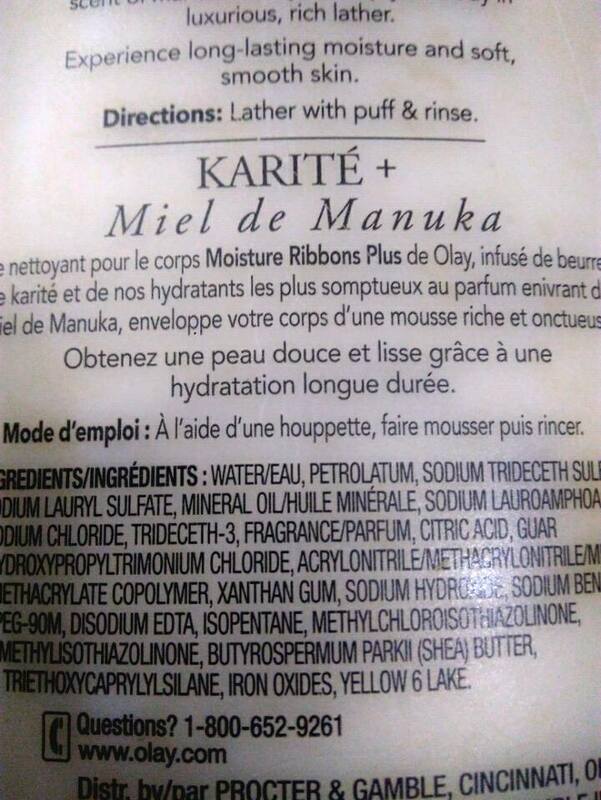 Possibly, sulfates and mineral oil. Use it every morning and evening in the bath or shower with hands or a loofah. Either. But I personally find it more suitable for colder months like fall and winter. How’s my experience with the product? 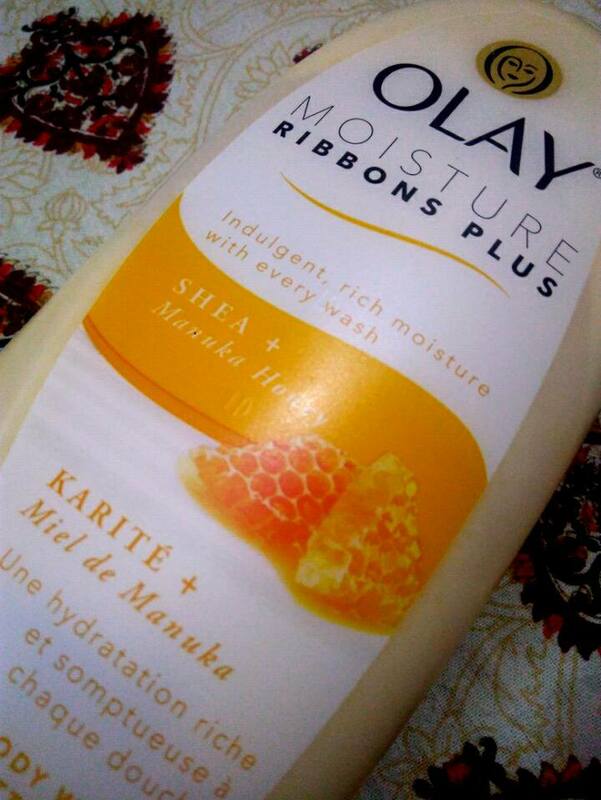 Olay moisture ribbons plus body wash comes in a big 532 ml bottle, which is bigger than Kim Kardashian’s ego! It’s a honey-hued, inverted oval-shaped bottle with a flip-open cap. 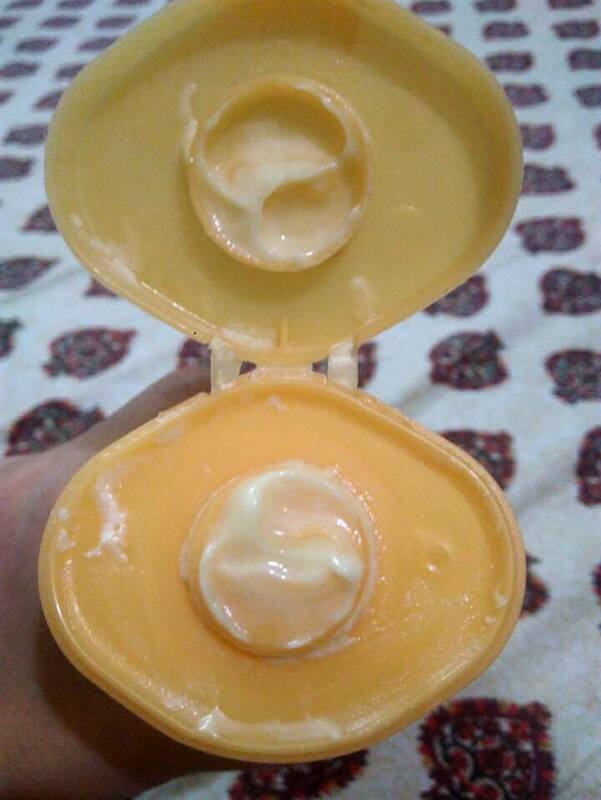 The texture is thick and creamy, which makes it looks and feels like you are applying soft creamy butter on skin. I wasn’t sure if this thick and creamy body wash would produce sufficient lather for a satisfying cleansing experience. But boy I was wrong and for the good! 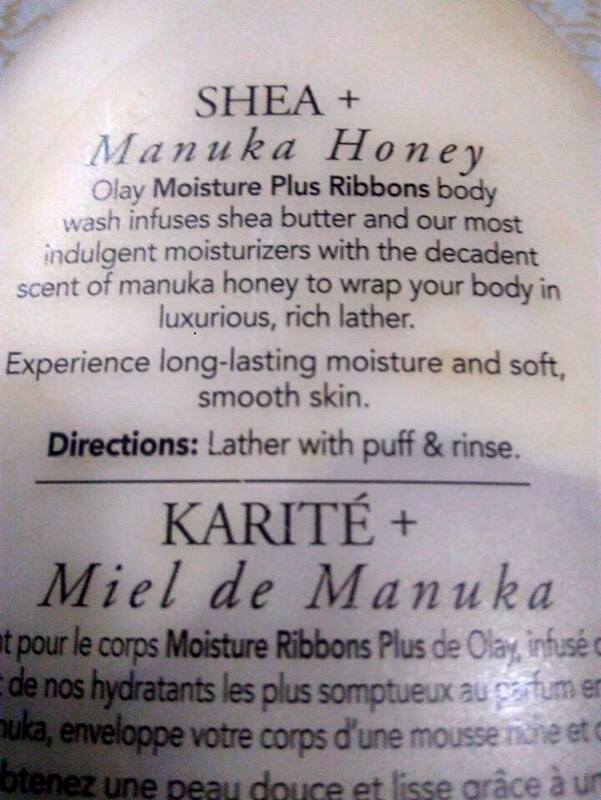 The moisturizing body wash lathers well and gets me squeaky clean. Even though, it’s a thick and creamy formula, it rinses off thoroughly and easily. I even tried to see how it would work as an emergency shave cream, and it worked great. Since, the lather is rich and luxuriant, only a small amount of body wash is required for one time use. Now considering the size and price of the bottle, you’re definitely getting a good deal. This creamy body wash has made a big difference to the look and feel of my skin. I can especially see the change on my legs, which now look and feel soft with silky, smooth skin. The only beef I have about this product could be the packaging. The large inverted bottle and loose flip-open cap makes it inconvenient or rather impossible to travel with. Because of this, I’m glad it stays in my shower, where I don’t have to worry about carrying it or the product ending soon, signaling to replace the bottle. Another thing could be – its rich creamy texture and warm fragrance may not make this body wash a much desirable option in hot, summer months. Who would like this body cleanser? site. Keеp up the good writing. 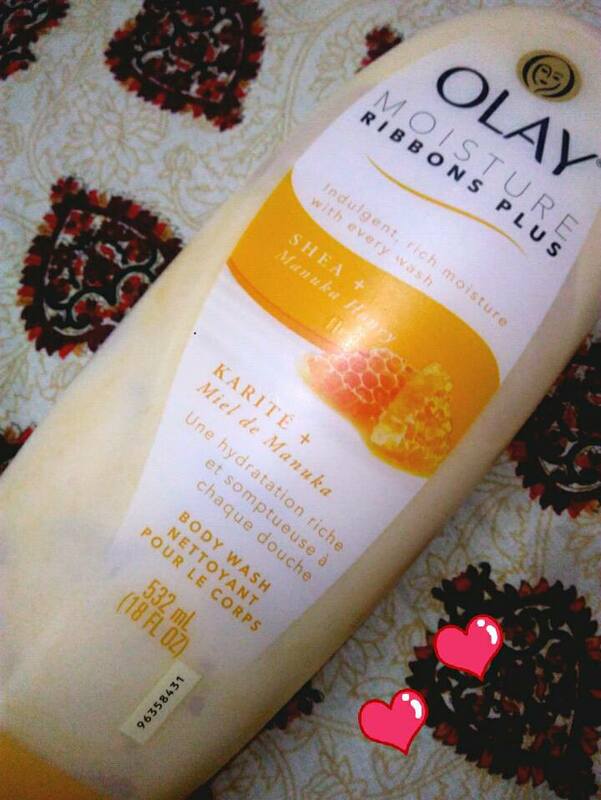 This body wash sounds like it will be perfect for winters.